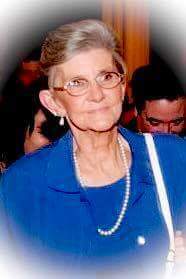 Ruth Lambiase (Hudack) passed away at home peacefully on January 10, 2017. Born in Bayonne, NJ, Ruth moved to Staten Island and has been a resident ever since. She enjoyed life to the fullest. Her hobbies included gardening, antiquing, baking, crafting and spending time with her grandchildren. Ruth is survived by her loving children, Cynthia Lambiase, Cathleen Lotito and Michael Lambiase, Jr.; Beloved sister of Arlene Siemietkowski and devoted grandmother to Michael Pedersen, Cheryl Bollenbach, Robert Pedersen, Anthony Picciano, Candice Clites, Cassandra Lotito, Justin and Juliana Lambiase. Along with her 8 adored great grandchildren. Funeral will be from Cherubini-McInerney Funeral Home, 1289 Forest Ave. (formerly Meislohn- Silvie) on Saturday at 10 a.m. Burial will be at Oceanview Cemetery. Visitation will be on Friday from 2 to 4 & 6 to 8 p.m.